We all love a sun-shiny day. Going out of the house and just sitting on the patio to enjoy the warmth of the sun is the best way to spend it. You can also just stay in your patio, maybe sip lemonade, and watch the neighborhood kids play ball. Summer is also a good time to gather friends and family for a barbecue, a pool party or any simple celebration. The sun can be pleasant, but it is not always good for your skin. The sun’s UV rays can be very harmful and being exposed to it too long can cause serious complications. Even when you are just outside your home, you need protection from the sun. Patio umbrellas will give you that kind of protection. There are a lot of options for shade systems for your patio, like gazebos and bali huts. These systems, however, can be expensive or inconvenient because they are so bulky and hard to move. You can not just move them around as you please. Worse still, if you redesign your home or do a renovation, you would need to discard the gazebo or hut if the structure no longer suits the style of your home. These structures can become a huge waste of money. 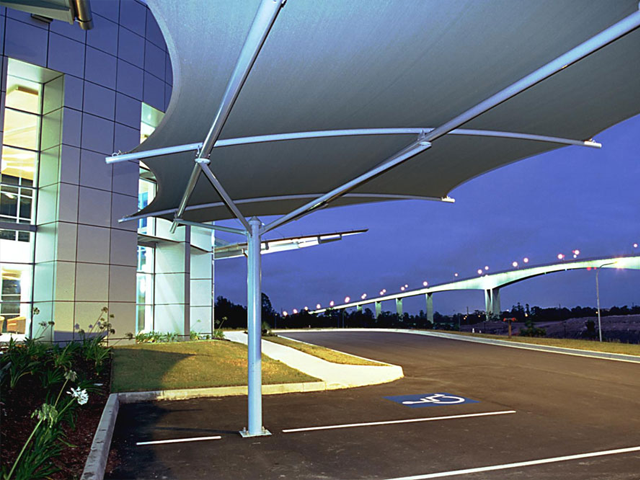 At Malibu Shade, we provide the best solution for you – our giant patio umbrellas. The Malibu Shade patio umbrella has flexible arms that can rotate 360 degrees, allowing you to control the shade and put it where you want it. The sun moves throughout the day – and so does the patio umbrella. We have a wide range of color options that you can choose from. 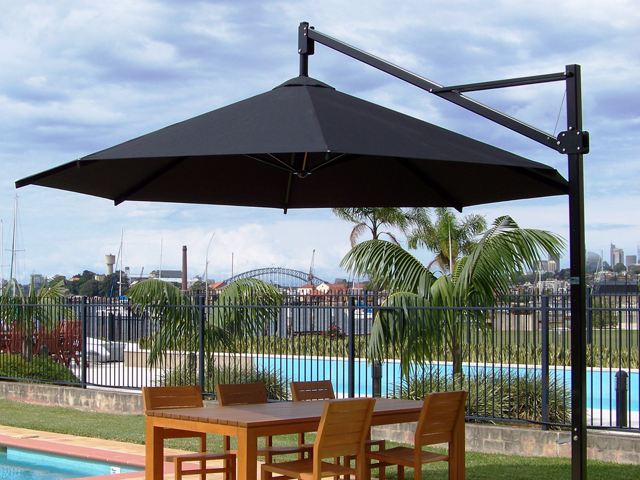 So your patio umbrella can be suited to any form of structure and home design. The fabric can be changed whenever you want so you can play around with different concepts. All our patio umbrellas also collapse easily – just store it away when you do not want to use it anymore. The umbrellas are also very easy to install. Malibu Shade patio umbrellas can give you up to 90 percent protection from the sun’s UV rays. It is available in 4 meters and 5 meters so you get to cover a whole lot of area. It is very strong and durable and can withstand harsh elements (like wind) of up to 140 miles per hour. Unlike other traditional outdoor umbrellas, Malibu Shade patio umbrellas can stand even the harshest weather conditions. They are made with high-technology fabrics that are resistant to the rigors of everyday use. You never have to worry about the patio umbrellas fading – they are especially treated to maintain their vivid color and to always look new. Just clean them regularly and they should stay beautiful for years. So get yourself a patio umbrella at Malibu Shade and enjoy the sun safely, and in style.